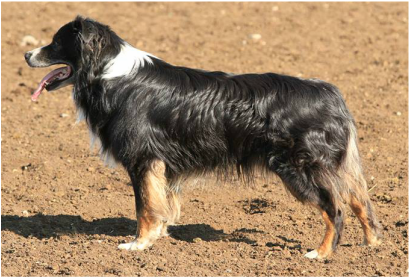 ​Spur was the boss dog at Betty & John Williams' 4400 acre Sweeting Ranch in Montana where they normally run 250 head of Black Angus cattle and 100 head of Katahdin sheep. I remember watching him at age 11 going up steep hillsides to round up and bring in a group of cattle. He was very effective on all species of stock. Betty would sometimes use him in clinics to work alongside dogs that needed a little help to get engaged on the stock. Betty describes ​"We ranch in the beautiful foothills of the Snowy Mountains. Our dogs are used to gather large pastures with lots of brush and timber. They are also used for sorting and corral work. 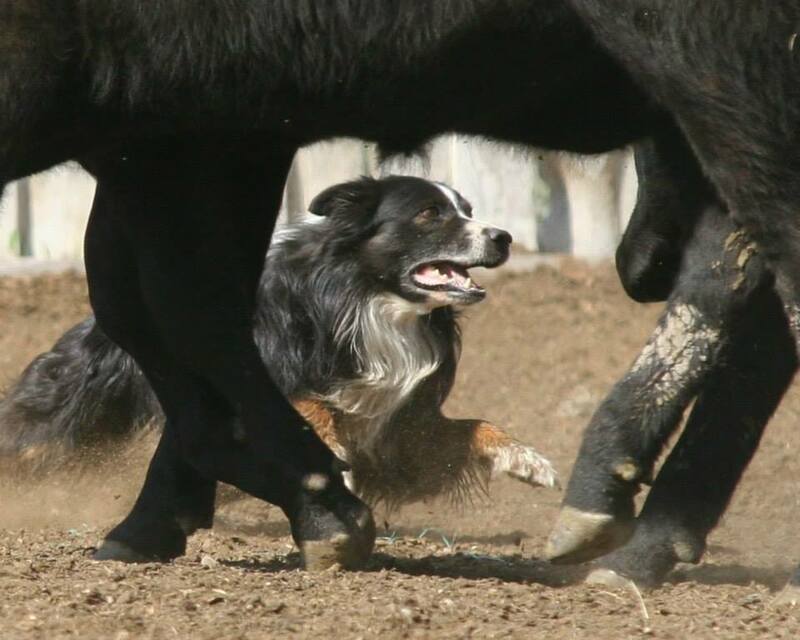 We strive to raise dogs that are gritty and tough enough to work and control cattle, but can switch gears and quietly bring in the sheep. 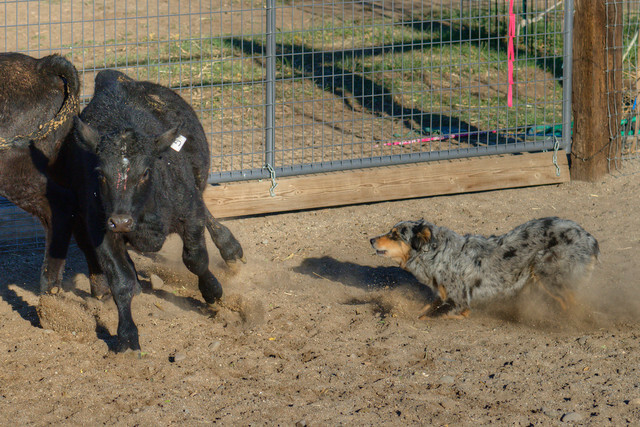 Our goal is to produce athletic dogs that are easily trained, and have the heart and grit to stick with you until the job is done. There is no greater satisfaction than to have the dog that’s been your working partner, cuddled up sleeping by your feet at the end of a successful day." Tanner was born in Alberta, Canada where she worked on a cattle ranch and also ran many miles of trails accompanying South Ram Outfitters' riders on their expeditions. 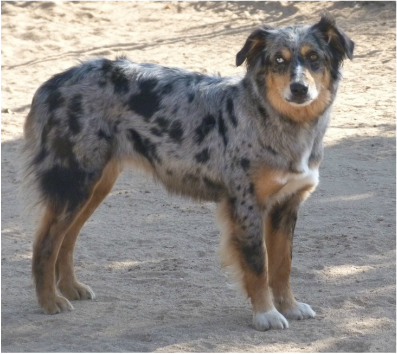 Now, she lives outside of San Diego, California where she helps manage the goats and poultry of Islander Ranch. 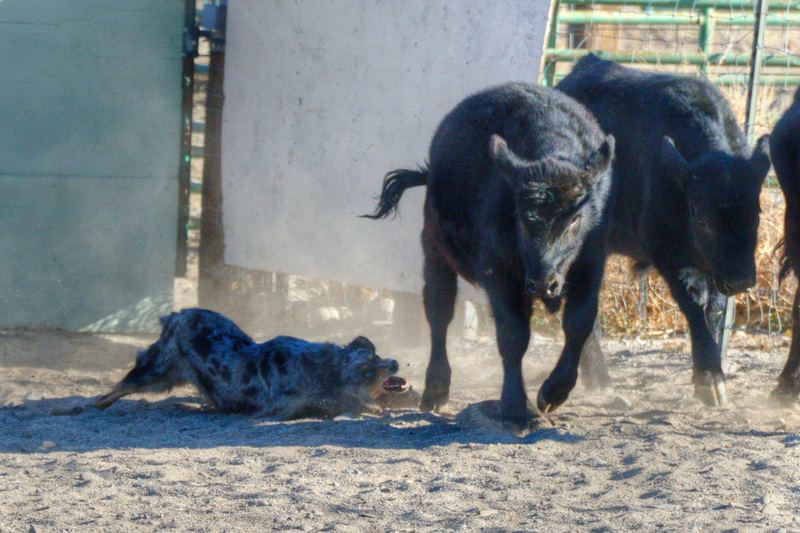 Tanner is a strong heeler and a good trainer of livestock. She works with enthusiasm, but always maintains a calm, clear mind. She is very biddable.